You probably have heard about automated tests before. People talk about it a lot these days, especially when the topic is about software quality. They say that if you don’t write any tests for your project, you’re in big trouble. It may not affect you at the moment. But in the long run, it would become a huge technical debt. Project with no tests is impossibile to maintain when it gets big and there are multiple developers involved. As you change something in the code, things start to break. You don’t even know that it breaks until your boss comes to your desk and starts yelling. You know that feeling, right? So, it’s better to know a thing or two about testing so that you can improve your project quality and also improve yourself as a software engineer. test a specific case in a class. make sure that the class works independently on its own. is also called Integration test. test user interactions with the app. make sure that all classes fit well together. UI tests are simple. Even simpler than unit tests. Today we’re gonna learn to write some very basic UI tests and yet still cover a fully-functional app from start to finish. What app will we be working on? Look like a piece of cake, right? However, our job today is not about how to build such app. What we’re gonna do instead is learning to write automated UI tests for it, for all screens and functionalities. That’s the exciting part. But what does automated UI tests look like? filling in a text field. entering correct username and password. entering incorrect username or password. I don’t know about you but I have to admit that it looks funny. Why should we write automated UI tests? Actually this is the benefit of automated tests in general. When you make some changes in the code, the tests are there to make sure that you don’t break anything (regression). And that your app still works as expected. If there is no tests, it’s dangerous to make even a slightest change. One has to be very careful and do a lot of manual testing to gain back his confidence. If there is no tests, we will need the whole QC team to sit together trying to break the app and looking for bugs. Now we don’t anymore. UI tests will take care of that pretty nicely. I’m not saying that we should totally rely on automated tests. There is always something that tests can’t cover. We still need to test the app manually ourselves. However, the time we spend on it is kept to a minimum. Given the design of UIKit framework where everything is tightly coupled (the window, the view, the controller, the app lifecycle), that makes it very hard to write unit tests for view controllers even for the simplest scenario. It’s still possible but we would have to mock and stub things around, simulate events and stuffs, which turns out to be a ton of work and doesn’t prove useful at all. Why fight the system when we can ride with it? UI test puts us in the role of a user. A user doesn’t care about any logic underneath. All he wants to do is tapping buttons and expect to see something appear on the screen. That’s it. This is a UI test for scenario when user tries to login with wrong credentials (username or password). Actually you don’t need me to tell you what that is. It’s obvious. 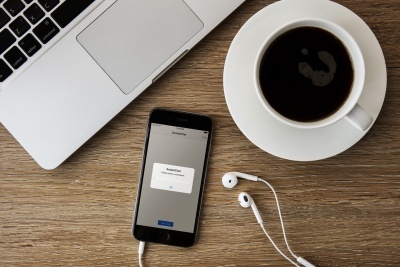 You’ll quickly understand what the app can do just by reading the tests. It’s the best documentation. As I mentioned earlier, this is simply fun. It’s a nice thing to have and you’re gonna love it. Seriously, you’re gonna love it for sure. Alright! I hope that gets you a little bit more excited about UI testings. Let’s dive deeper. In UI tests, we care about user interactions much more than the underlying code structure. We focus heavily on what a user can do and what he’ll see on the screen. All the background stuffs can be ignored. 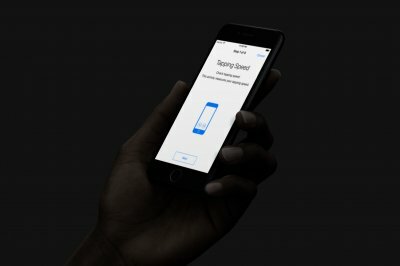 How do we express UI test in Swift? Fill in “some random text” into a text field. You may wonder: What is this accessibility label thing? Actually it’s a way to address UI components on the screen. Or frankly, accessibility label is a name you give for each UIView to distinguish among them. For full list of supported UI interactions in KIF, you can read here. How do we assign accessibility label for UIView? Click on a view you wanna assign accessbility label. Choose the Identity Inspector tab. Scroll down to the Accessibility section. So basically what we do is we assign a key path that matches the accessibilityLabel property of UITableView. Then at runtime, it will read value from key path and set its property accordingly. Another thing to note is that: for UIButton or UILabel, it has a default accessibility label which is equal to its text property. Let’s say you have a button with the text “click me”, then its accessibility label is also “click me”. You don’t need to set it again. 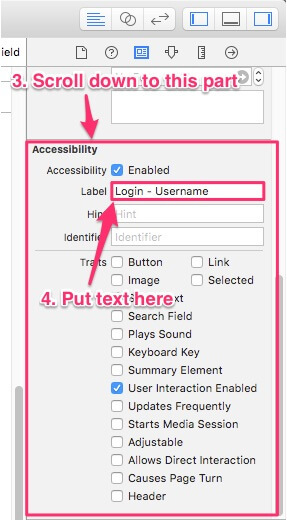 Although it looks simpler when using code, it is still recommended to set your accessibility label directly from the Storyboard if possible. The best code is no code at all. First, download the project here. Run it. Make sure it compiles fine. Play around with the app to get a sense of what we’re gonna do next. Editor’s note: If you can’t compile the project, please delete the SimpleNoteTakingApp.xcworkspace folder and run “pod install”. How to setup KIF for UI testing? Step 1: Import KIF and Nimble using cocoapods. Add pod 'KIF' and pod 'Nimble' to your Podfile. Remember to put them in the test target. 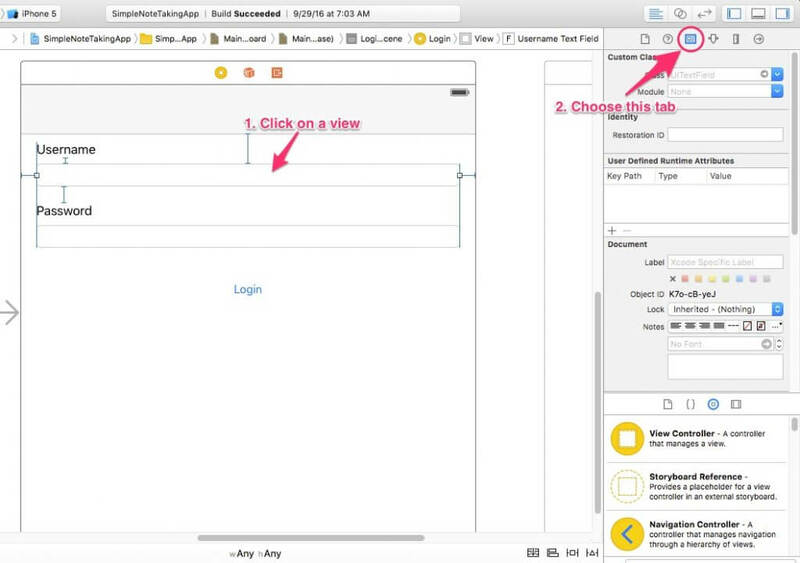 Nimble is a framework to help you better express your expectation in test. I once wrote an article about it here. Create a KIF+Extensions.swift file in your test target. 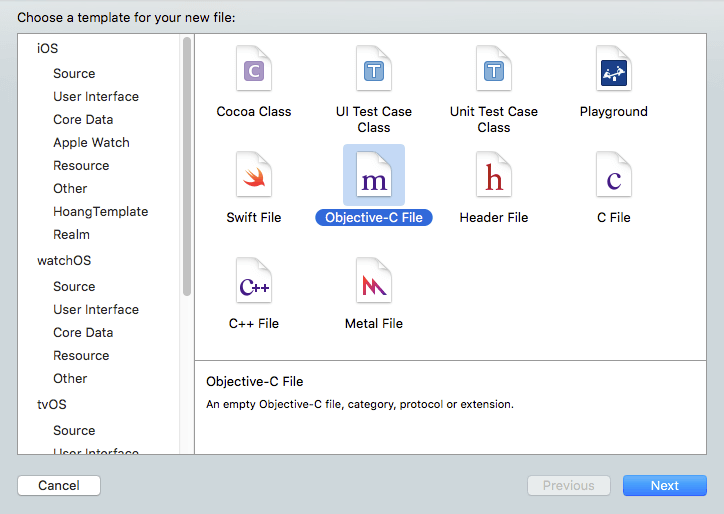 Create a new temporary Objective-C file in your test target. You can name it to anything. Xcode will ask whether you also want to add a briding header. Hit Create Bridging Header. Delete the temporary ObjC file we just created above. We don’t need it anymore. 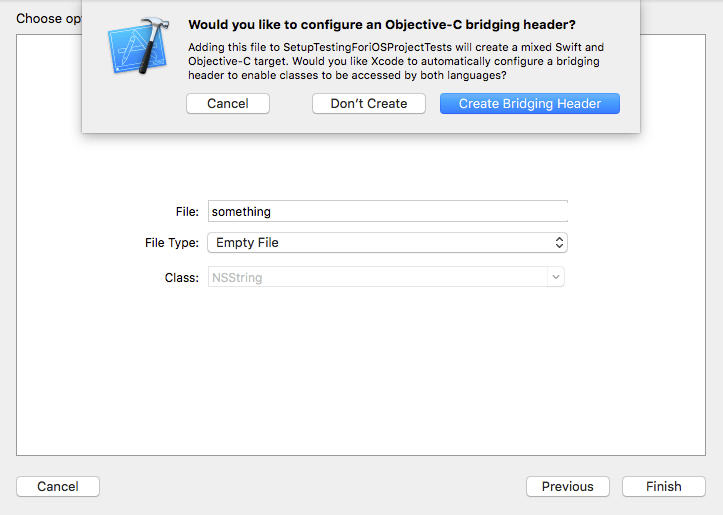 Import KIF from within the bridging header (SimpleNoteTakingApp-Bridging-Header.h). Create a new file in the test target and name it to LoginTests.swift. your UI test must subclass from KIFTestCase. Now let’s run the test to see how it works (Cmd + U). It should open up the iOS simulator and stop at the login screen. Wait for a couple of seconds. Then fail. That’s because we haven’t had any view with accessibility label of hello yet. We’re gonna fix that later. But for now, our first UI test is up and running. It’s cool. Scenario 1: Empty username and password. In this case, the user should see an alert telling him that “Username cannot be empty”. Now before we move on to the nitty gritty, I want you to take some time and design the scenario first: what step will you perform? And what do you expect out of it? First, we would like our username and password fields to be cleared out. Then we tap the Login button. And we expect to see an alert that says “Username cannot be empty”. Scenario: Empty username and password Given I clear out the username and password fields When I tap "Login" button Then I expect to see alert "Username cannot be empty"
Then I expect to see alert "Username cannot be empty"
Although this is just something we draft on a paper, or directly in our mind, it’s very close to the human language. Everyone should be able to read and understand. Let’s translate it into Swift. Open LoginTests.swift and write our first test. Again, test method name must begin with prefix test. Then we perform the first step: clear out both fields. Although this clearOutUsernameAndPasswordFields method is not defined yet, you don’t have to worry about it. Just write what we want first. We’ll fix the compile errors later. Again, this tapButton method is also undefined. We just put it there to structure the test. Now we have the whole scenario written down in Swift. It’s time to fill in the definition for each method. Now run your test by pressing Cmd + U. The simulator will pop up and run over your steps auto-magically. Let’s do a litte refactoring here. Create a new file called LoginSteps.swift and move all step methods there. Then the LoginTests.swift would look fairly short and sweet. Scenario: Empty password Given I clear out the username and password fields When I fill in username And I tap "Login" button Then I expect to see alert "Password cannot be empty"
Then I expect to see alert "Password cannot be empty"
The fillInUsername method is also very straightforward. Remember to put the step method in LoginSteps.swift instead of LoginTests.swift. Always keep the test clean. Run the test. Make sure it passes. Notice that the 2 tests now have a same common step (clearOutUsernameAndPasswordFields). We will move it to the beforeEach method. That’s where you put things you wanna execute first before each test runs. Now that we’re quite familiar with writing UI tests. Let’s move on more quickly. Scenario: Wrong username or password Given I clear out the username and password fields When I fill in username And I fill in wrong password And I tap "Login" button Then I expect to see alert "Username or password is incorrect"
Then I expect to see alert "Username or password is incorrect"
Note that the first step (clearOutUsernameAndPasswordFields) is already in the beforeEach method so we don’t need to call it here anymore. About the expectToGoToHomeScreen, how do we know if we’ve already transitioned into another screen? expect the UI elements in the login screen to disappear. expect to see UI elements of the Home screen. Now that we have more than 1 test class (LoginTests and HomeTests). There will be common step methods that we’re gonna reuse between them. Let’s create a base class called BaseUITests.swift. Then make LoginTests and HomeTest inherit from it. steps that are widely used among test classes should belong to CommonSteps.swift. The Home screen is where we create/edit/delete our notes so there’re a lot of database interactions happening. We don’t wanna put a bunch of test records into our production database every time we run the UI tests. Instead, we will create a test database and use it in our testing environment. This will create a Realm database in memory and it only exists for as long as the tests are still running. Your project may use a different database technology (CoreData, FMDB, SQLite) but the idea is the same. You create a test database file and direct all test records into it. Your main database file is safe. We’re gonna put this database setup into the beforeAll block so that it is executed only once. Now we’re ready for the 4 scenarios of the Home screen. Since Home is not the initial screen. We must have a step to go to Home before we can do anything else. Scenario: If there's no notes, display label "No notes"
Then I expect to see label "No notes"
For visitHomeScreen, it’s a little bit tricky because after the previous test finishes, you may not know which screen you’re on. You may be at the Login screen, Home screen, or any other screen. It’s hard to go anywhere when you have no idea where you are at the moment, right? However, if we put ourselves at the initial (Login) screen, there is always at least 1 way to reach every screens in the app. Therefore, the solution is that no matter where you are, go back to the initial screen first, then you can proceed to other screens very easily. With this in place, we’ll put it in the beforeEach method so every time a test gets executed, it has to go back to root first. After that, it’s recommended to clear out the database to ensure a fresh start for subsequent tests. We’re gonna move the haveNoNotes step into the beforeEach method too. Scenario 2: Create new note. When I fill in the note title with "new note"
And I fill in the note body with "new body"
There’s little bit of logic here. The create button is only enabled if there’s some text in the title field, otherwise it will be disabled. First, get a reference to the Create button. The fillInNoteTitle and fillInNoteBody are easy. We just need to fill in the field with some texts. The expectToSeeNoteWithTitle method can be done using the same approach too. Get a reference to the cell. And I update note title to "updated note"
And I update note body to "updated body"
The have3Notes method: we add 3 records to Realm database. Scenario: Delete notes Given I have 3 notes When I visit home screen When I delete a note Then I expect the number of note in list to be 2 When I delete a note Then I expect the number of note in list to be 1 When I delete a note Then I expect to see label "No notes"
UI tests are easy to learn but yield a lot of benefits. It might take a couple of days to familiarize yourself with KIF and how to work with accessibility labels. But then after that, you’re unstoppable. Your UI tests are going to cover all user scenarios across the app. Whenever you change something in the code, you’re good to go as long as the tests are still passing. The only downside I found is that it really take time to run the whole UI test suite as your app grows. 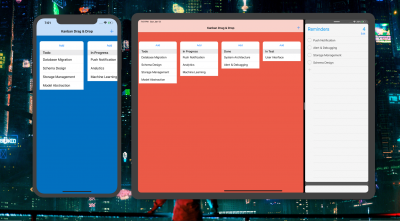 For this note taking app, it take me around 80 seconds to run through everything, considering I’m using an old hackintosh with Intel Core i3. For bigger real-world app, it may take much longer, from a couple of minutes to even hours. But the good news is we can delegate the test running task to another service called Continuous Integration. That deserves another blog post for itself. You can download the full project (with all UI tests) here. If you have any questions regarding UI tests, feel free to put a comment down below. I would love to hear more from you guys. Thanks and have a good day. This is amazing feature of automated testing of n app. It make app development easy. thank you for sharing such insightful article with us. Wow! such a detailed and easy tutorial. Thumbs up for Hoang Tran who put in lots of effort to write this article. Hi. Would it be possible to translate in ObjectiveC also? Or are these syntax from Swift can be done directly using Objective c? In order to get the project to run with Xcode 9.1, edit the podfile under use_frameworks! to be pod ‘Realm’ and pod ‘RealmSwift’ in order to get the latest versions. No need to point to a specific git repo. Also delete Podfile.lock. two cases “briding header” -> “bridging header”. I am not able to run it every time is crash because it is not able to get the keywindows and windows array. I am using it in swift. do you have any idea?